This 70's Themed Shoot provides a unique experience for my senior models. One of the biggest obstacles high school senior photographers encounter is the ability to get in front of their seniors and market to them. Whether you're brand new to senior photography or a seasoned veteran, chances are good you've considered or tried a senior model or rep program. Because there are conflicting opinions on the value of these programs, I decided to take a look at a couple of the most common types of model programs, and find out if these programs are worthwhile to your senior business. In this article, I'll share the key components of the two most common types of model programs, as well as my experiences with each type. When I first started with senior photography, I tried the traditional approach and found that it just didn't do anything for my business. While I didn't do an open model call (I recruited the kids of people I knew personally), I quickly discovered that this generation of seniors does NOT like to solicit their friends just to get free stuff, especially when the stuff they're getting for free is something their parents would normally pay for anyway. The clients I did have were happy with their experience and their photos, and were referring other clients to me, so I knew I was on the right track with my business. I just needed to find a way to let more people know about it. That is when I started researching other ways to develop a model program that would actually bring in more of my target clients. Through this research, I realized the importance of the three E's – Experience, Exclusivity, and Emotion. Let's break those down a bit, and provide some insight into how you might incorporate the 3 E's into your own model program. Give your models an experience they won't get anywhere else. Traditional rep programs gave seniors free stuff that they would have paid for anyway. This newer approach gives them something more valuable than a free product or service – it gives them an experience they will remember the rest of their lives, and can't get anywhere else. But to be successful, you must make it an experience that appeals to the clients you are seeking for your business (your ideal client avatar). You really need to know who you are trying to attract to your business before you can develop a model program to do it. Seems logical, but you'd be surprised at how many of us just jump right in without thinking this through. Sure, you will get clients without identifying your target client, but you probably won't get the clients you're really looking for. Giving this considerable thought before you ever launch your program will seriously increase the odds of your success. As an example, if your target client is a football player who lives for sports and working out, providing a model experience that involves high fashion probably won't appeal to him. However, a model experience involving fitness and a youth football program may be just what he is looking for. Using a few of the tips in my article, 13 Sure Fire Tips For Marketing Senior Portrait Photography, specifically 1) Determine your ideal client, 2) Identify what sets you apart, 4) Go where your clients are, and 8) Partner with local businesses, you can create an experience that will appeal directly to the clients you desire to work with. Make your model program exclusive. Don't just put out an open model call. Hand pick the models you choose to represent you. Make sure they are your ideal clients and will be good ambassadors for your business. Ask your current clients, friends, or model team (if you have one) for referrals for next year's team. You're looking for models who will be the face of your business, so you want to make sure you know who they are and what they're into before you bring them on the team. All of my models are personal referrals from past models and clients. They know my business and the type of seniors I am looking for. My model team is not a popularity or a beauty contest. I look for seniors who represent my ideal client, are actively involved in activities, and will represent my business well. I put a lot of effort into providing fun and exclusive experiences for them, so want to make sure I've got the right team in place to be the face of my business. Develop genuine connections and relationships with your seniors and their parents. This is critically important. When you make an effort to get to know your models and take a genuine interest in them and their lives, it will resonate with your clients and result in more business with the clients you desire. This is something you can't fake. If you don't like working with young people, and getting to know them and their families on a personal level, you probably shouldn't be doing senior photography. Show up to support them at their sporting events, send notes on their birthday or messages of encouragement when you know they're having a rough day. Treat them like you would a friend, and you'll create deep and lasting connections. What makes a Model Program “worth it”? Return on Investment – I view the time and money I spend on my model program as marketing, and treat it as such. I set aside a portion of my time and financial budget for the program, and in my opinion, it provides a much better return on investment than any traditional marketing I could be doing. Raving Fans – By providing an exclusive experience that really connects with my ideal clients, I am creating a group of seniors and parents who love what I do and how I do it. They tell their friends about their experience, and it turns into more business with the people I love to work with. I am not in the photography business, I am in the people business, and I am successful because of them. Content Creation – I always have models available for photo shoots, so I can create content to market my business. This is also a benefit to the models in that they have access to fun and unique photos they wouldn't get with a traditional senior session. Vendor Relationships – I work with a number of local vendors with my model program, from clothing boutiques and venues to flower designers and hair and makeup artists. It's a win/win situation for all – they provide products and services that enhance the experience I provide to my models, and I provide professional photos and marketing exposure for their businesses. In addition, these relationships can often lead to other projects that fuel your creative passion. Creative Outlet – I do creative and themed photo shoots with my model team, which gives me the opportunity to do things I wouldn't normally be able to do during a typical senior session. 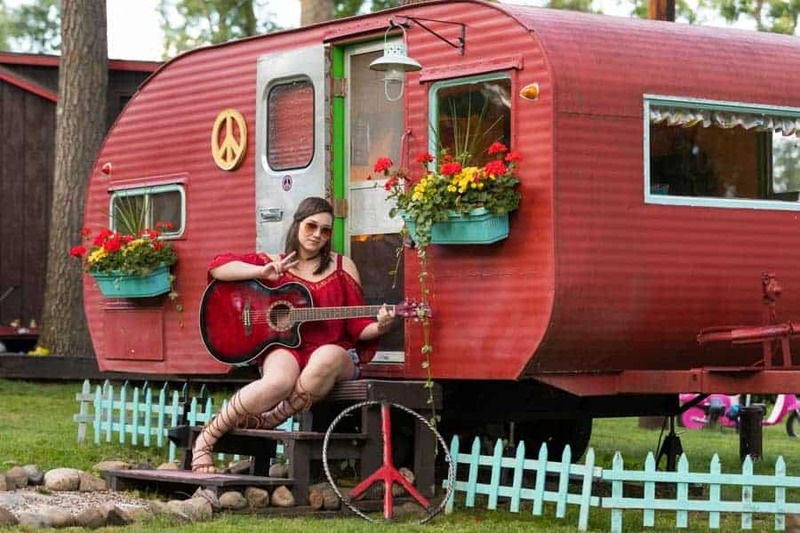 I recently did a 70's themed shoot with a vintage camper, and everyone had a great time. These are the experiences that set me apart and will resonate with my ideal clients. Enhance Skills – I have the opportunity to try out new techniques and ideas with my model team instead of paying clients. Having a group of models to call on so I can advance my skills is a big benefit to me. Guaranteed clients – My models are regular paying clients, but I do offer them a free session as long as they book it during my slower months. This helps me fill a slower time, and gives them a perk for being a senior model. Market Differentiation – My model program helps set me apart from other photographers in my market, and my ideal clients can readily identify if I am the right fit for them. My personal opinion is that model programs definitely are “worth it”, but only if you approach them with a plan and use them as a marketing tool. 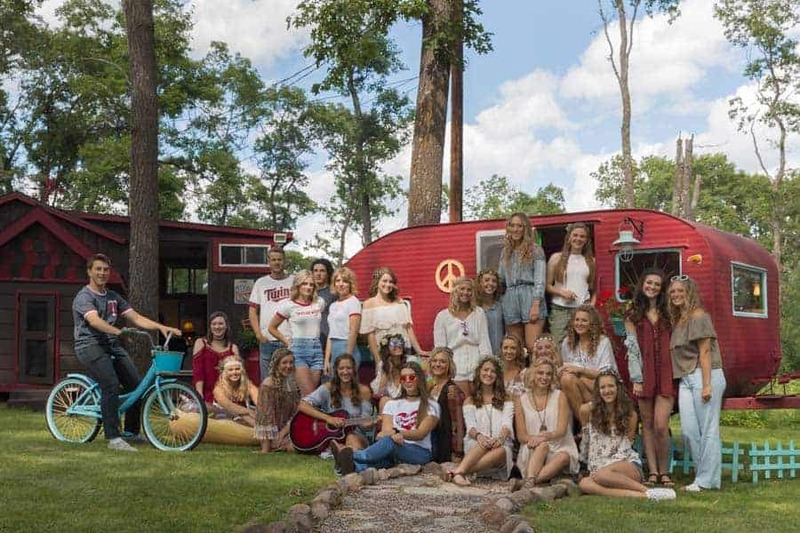 I absolutely love working with my model team, and a major side bonus for me is getting to know and work with an incredible group of young people. However, I am running a business, so my main reason for having a model program needs to be to bring in more business. If I just wanted to get to know and work with a great group of young people, I would spend more time volunteering at the high school! So…now that you've heard my take on whether senior model programs are “worth it”, I'd love to hear yours in the comments below. What would make a model program worth it to you? What ideas have you incorporated into your own program that have helped it be more successful? Which type of model program have you tried, and what was your experience? I appreciate you taking a moment to read this article and share your thoughts. As a new writer on Improve Photography, I would also like to hear other topics you're interested in reading about. Thank you!